The journey to poker excellence typically starts when a player discovers the joy of poker. A player is introduced to the game and for some inexplicable reason a certain few will become completely absorbed by it. For that player to take his or her game to its highest potential, however, will require total commitment. In this article, I'm going to explain what total commitment should look like and how you can put yourself on track for achieving poker excellence. The key to total commitment is clear focus upon what you hope to achieve as a player. Do you have a vision of what you'd like to accomplish? What is the level of success that you desire? Are you willing to do whatever amount of work it takes to get there? If you don't have a clear vision of your goal as a player yet, take some time to think about where you want to go and how you might make it happen. If you can get fully focused on what you want out of poker, your commitment to the game will improve. And with fully focused commitment, you can attain almost any desire. 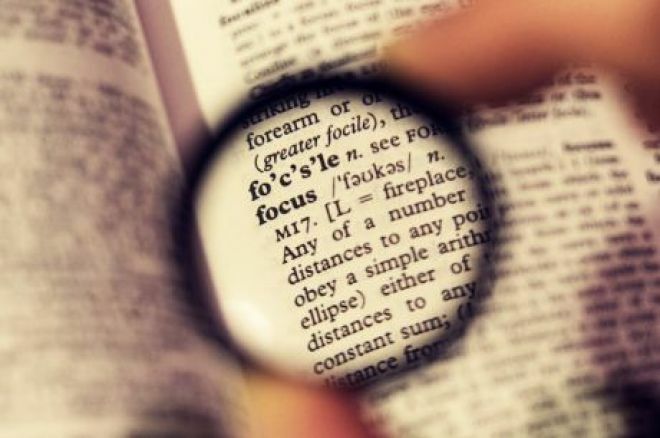 It has been said that a key to success is to have “laser-like” focus. When you train your focus like a laser beam on one specific objective over long periods of time, you can't help but to be successful. I found support for this idea when I researched elite players for Positive Poker. Almost without exception, elite players tend to be fully focused, highly committed, and passionate about poker. They are in it for the long haul. So what can you do to improve your commitment, passion, and focus? The beginnings of poker excellence are kindled when you engage in things you enjoy doing — like playing poker. Higher levels of excellence become possible when you have a clear and compelling vision of where you want to go. Connect that vision with an amazing work ethic and you are all set to take the poker world by storm. That is as long as you don't give up too soon! It takes thousands of hours of concerted effort to make it to the top, and in order to get to the highest level of poker, you really have to love it. There will be numerous ups and downs on your way to success, and to get through those, it's important that you have a heartfelt passion for the game. Most poker players who excel at the highest levels say that the pursuit of mastering the game becomes their passion and is a driving force in their lives. They are so committed to the game that they enjoy the good parts while being able to put up with the tough times, too. The path to excellence is always going to be littered with obstacles, some of which might seem insurmountable. Even the best players feel this way sometimes. How do you get through the inevitable hard times? Total commitment! You go to work figuring out what is in your control and decide what the first step is you can take to improve your situation. Take action and always keep your goals foremost in your mind. If you commit to focus on doing what will be the most beneficial for you and your goals, you'll eventually succeed. Photo: “Focus,” Michael Dales. Creative Commons Attribution ShareAlike 2.0 Generic. Dr. Tricia Cardner is the author of Positive Poker with Jonathan Little, available in paperback, audio, and e-book formats via D&B Poker as well as through the PokerNews Book Section. Follow her on Twitter @DrTriciaCardner.